When a young photographer living in New York learns that her estranged father, a well-respected rabbi, has died, she can no longer run away from the truth, and soon sets out for the Orthodox Jewish community in London where she grew up. Back for the first time in years, Ronit can feel the disapproving eyes of the community. Especially those of her beloved cousin, Dovid, her father’s favorite student and now an admired rabbi himself, and Esti, who was once her only ally in youthful rebelliousness. Now Esti is married to Dovid, and Ronit is shocked by how different they both seem, and how much greater the gulf between them is. 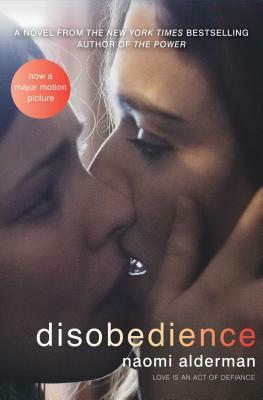 But when old flames reignite and the shocking truth about Ronit and Esti’s relationship is revealed, the past and present converge in this award-winning and critically acclaimed novel about the universality of love and faith, and the strength and sacrifice it takes to fight for what you believe in—even when it means disobedience. DISOBEDIENCE by hot new talent Naomi Alderman is set to spark controversy. Her debut is about two women who were teen lovers in north London's orthodox Jewish community. Move over Zadie Smith. DISOBEDIENCE reaches beyond expose status. A loving anger feeds its critique of the UK's orthodox Jewish society, and its split narrative—which points to a culture clash as absurd as a lunch date between Moses and Sandra Bernhard—edges towards acceptance, hope and a middle ground. A revealing glimpse into a closed community and offers serious ethical questions to ponder. An excellent choice for women's book clubs. Alderman creates for the reader a well-textured image of a world that most will never experience.